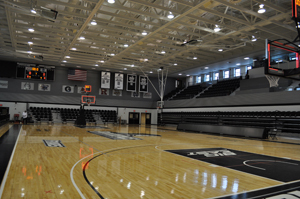 Historic Mullaney Gym – known for many years as Alumni Hall, when it was the home court for Friar basketball teams that thrilled generations of fans, opened as a renovated facility in 2012. 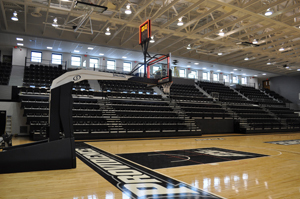 Named for Coach Joe Mullaney, who led the Friars to NIT championships in 1961 and 1963, the gym is currently the home court for the Friar women’s basketball team and the Friar volleyball team. 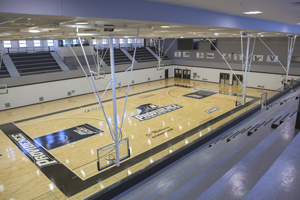 Approximately 20,720 square feet, the gym features 745 bleacher seats and 804 balcony seats. The renovation included replacement of mechanical systems, the scoreboard, the press box, the television broadcast systems, lighting, and the sound system.